When they start putting the open world back in and adding in crap that wasn't already in the base game and all expansions THEN I'll be impressed. 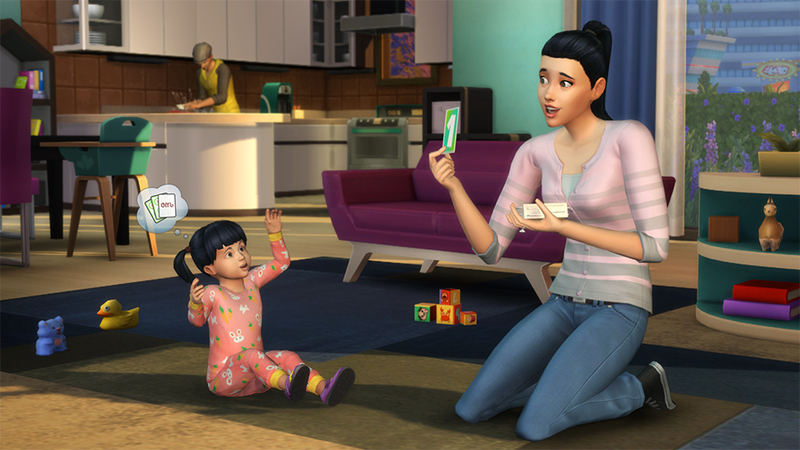 The problem with the Sims 4 is EA not only removed everything the previous games expansions had when it should have at least had a good majority of it from the start, but removed numerous features that were native to the Sims 3 as it was, making it vastly inferior to the Sims 3 in all but one or 2 very minor respects. 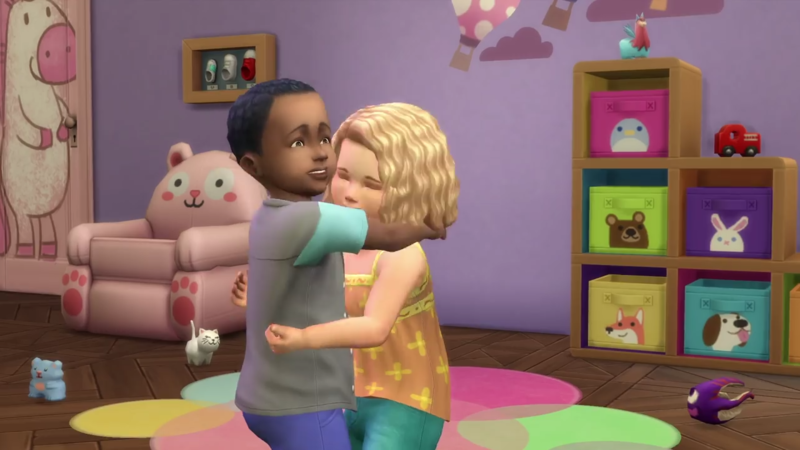 Toddlers barely even scratches the surface of the many many things they should have had in the Sims 4 from the beginning. If you expected about 8 expansions to be default in the sequel, that's incredible naive. Like, unbelievably so. 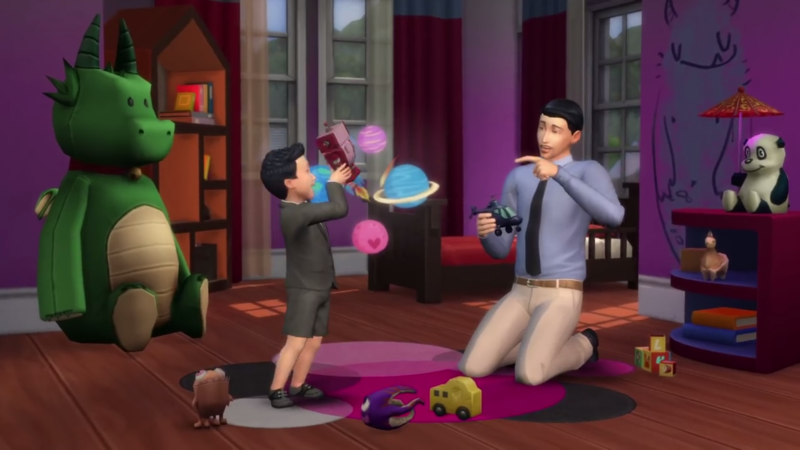 What Sims 4 should have had from the expansions should have been Aliens, pets (cats and dogs) and basic form of seasons. Plus most of the the features Sims 3 introduces. The lack of the open world is NOT one of these things if they would have done it right as the open world was pretty badly optimized over a long playtime. Splitting the world into smaller chucks which you load when you go there, respectively would have been an improvement. If those chucks would have been treated as their own "open world" where you can freely move from the various lots to another - and that's what they didn't do, either. Wait seriously? 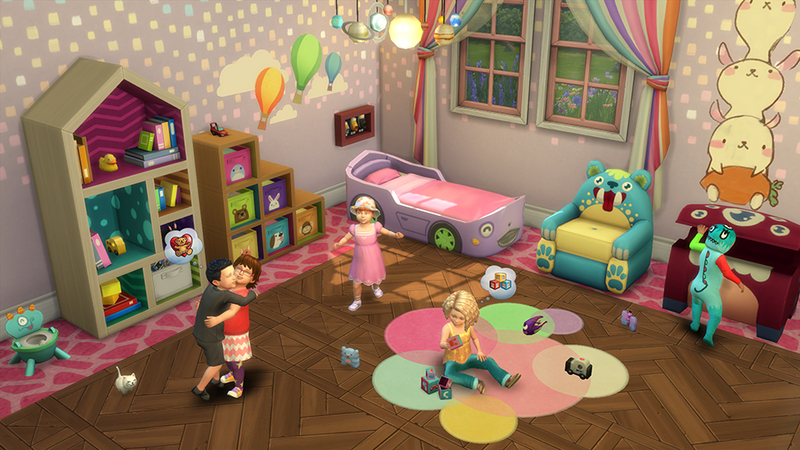 I remember the uproar when those features was not in the game initially but it was promised they would come soon, and I assumed they came with a patch; have the toddlers seriously not arrived until now? I never even bothered to buy the Sims 4 because of this crap. I still only ever play the Sims 3, really, if I play any of the Sims games at all. I bought the Sims 4 once. I played it for about 15 minutes, and contacted a rep for a refund. Origin not only gave me a quick refund, but also gave me a coupon code that I turned around and used with the refund to buy about 6 or 7 expansions for the Sims 3. Are there pets yet? No. Not interested. I'd rather have pets then kids. I never would expect there to be everything from all 8 expansions in the Sims 4 base game, that is unreasonable, however, there should at LEAST be a majority of what each given Sims 3 expansion added in the game as is. If there absolutely has to be another expansion that adds the rest so be it, but there's no excuse whatsoever for the main features of all the Sims 3 expansions not to be there from the very beginning. They did the exact same thing between Sims 2 and Sims 3 and all it resulted in was a game that cost several times what it did at base to get the features that should have been there in the first place. A sequel is supposed to take everything the previous game had, attempt to improve upon it, and then add to it, not reduce it and it's not naive to expect that a sequel does what a sequel is supposed to do. 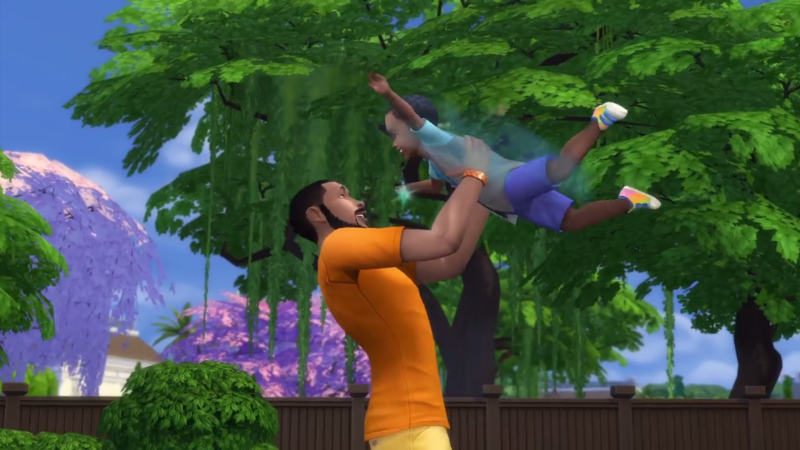 The Sims 4 is blatantly exploiting the fans and the ignorant and nothing more, pure and simple. The lack of the open world is NOT one of these things if they would have done it right as the open world was pretty badly optimized over a long playtime. I understand that there were issues getting the open world in Sims 3 to work correctly, (though I've never had any issues with the open world in Sims 3 myself) but it's no excuse for the lack of said open world in Sims 4. Instead of using the new game as an opportunity to better optimize the open world and fix issues that the Sims 3 game as is would never be capable of patching, they took the lazy way out and just threw the whole open world out entirely. EA had a chance to actually fix what was broken but they squandered it so they could make an incredibly lazy half assed game, that's all there is to it. 2 years?! Where has the time gone? I still remember Sims 4 being announced. They're finally fleshing out the tech demo they released as a full price game! Yay! When they start putting the open world back in and adding in crap that wasn't already in the base game and all expansions THEN I'll be impressed. Most of that was cut, because it was the cause of so many of the bugs and glitches in Sims 3. Only because a feature was buggy, it doesn't mean that it had to be omitted outright. Sims is supposed to be a life-simulator. In life, I can explore the neighborhood and the landscape. And don't start telling me that it was boring. You know what that should mean instead, right? Right, that it needs to be improved. What do you have now instead? Exactly: Nothing. Hardware has been improved. Experience has been increased, at least it should have. What has prevented this? The graphics? It barely looks any better than Sims 3. It barely does anything different than Sims 3. What is the excuse? As far as I know, the majority of cost comes from time and the majority of time is spent on graphics. I'd rather take a remastered or remade Sims 3 platinum with the same graphics and the same features but with a better engine than everything added to and including Sims 4 for 60 bucks. Sometimes a downgrade is the only way of improving things. Pretty much everyone who played the Sims 3 past the 10 hour mark in one playthrough has. The open world is, without exaggeration, the single biggest culprit in most Sims 3 issues. From the weird "baby booms" and sudden "cullings" of the in-game population, to Sims getting stuck or freezing in place, items disappearing, lag and slowdowns etc., all attributable to the open world. It was a really cool idea but the execution was lackluster, at best, and there's simply too many hurdles to get past for an open world to function well in a game as complex as The Sims. Add to that that each expansion will add new features which all affect the open world in some way and you are soon on the slippery slope to hell, where a tiny bug in the code for seasons can see the entire population die of heatstroke because they all went to the Festival but the game doesn't take heat into account for NPC sims. Or someone gets stuck in a nightclub doorway, leading to the entrapment and death of half a dozen sims. Or you go to all venues in town and find them all empty, because poor pathing, poor handling of NPC moodlets and a wonky AI means that either all NPCs go to town or none does. That The Sims 4 is instanced is actually one of its' strong points, because you wont suddenly find out that your best friend died mystically or your partner for the last 40 in-game days decided to go polyamorous with every other person of the same gender. And you can actually play all the maps, unlike Isla Paradiso in Sims 3, which is so badly pathed that most players get 5 second freezes every 30 seconds or so when the game has to unfuck the pathing of some sim somewhere who got stuck trying to get on or off a houseboat. Hm? Oh, toddlers, neat. I've had that from the word "go." Precisely. 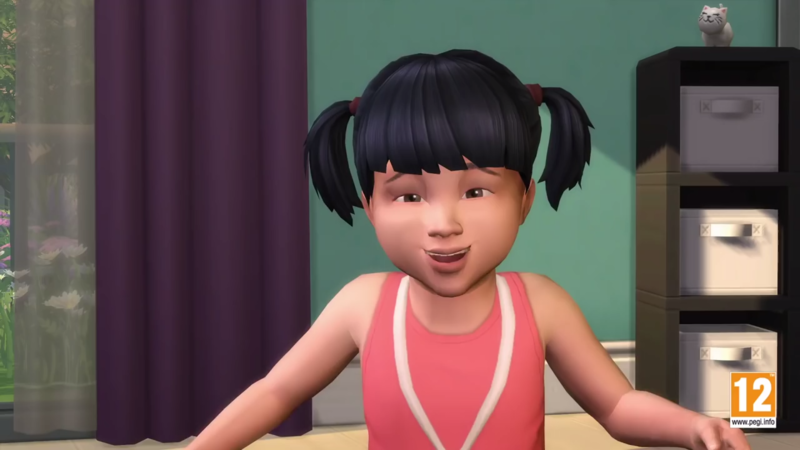 The sole reason there isn't the open world and countless other features in the Sims 4 is EA didn't give enough of a damn to include them, not because any of it couldn't have been included. Laziness and the fact that EA knew blind fans would let them get away with selling them a blatantly half assed game is the only reason for the lack of open world and so much else.